This wine is made from the same piece of vineyard that produced our Vieilles Vignes Brand 2007. We didn’t want to call them VV in 2008 just because it is a much drier style of wine. These vines are located on the Schneckeslbourg part of the Brand, the one that has some marl and limestone deep under the granite rock. 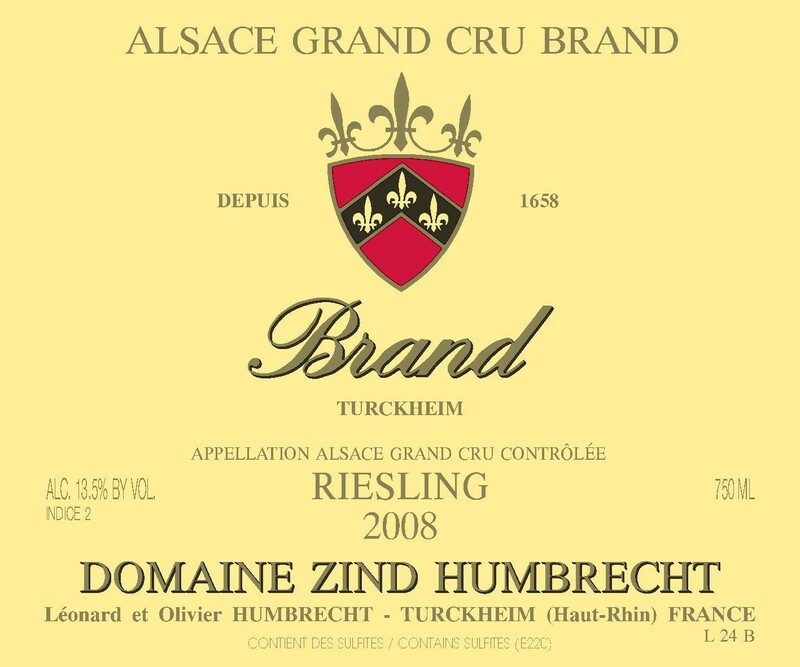 This vineyard often develops noble rot, and in 2008, there was enough of it to justify making an SGN with them. The healthy grapes that remained after the selection produced this wine. High ripeness, but steady, slow fermentation, so residual sugars aren’t that high. 2/2010: the nose is very intense, showing, or more, radiating, powerful rich fruity aromatics. This is not simple varietal type flavours, but typical Brand ripe fruit character. The slight presence of some noble rot that remained after the selection also adds some honey rich characteristics on the nose. The palate is quite generous and very elegant, with a forceful ripe acidity on the finish. It is a very long lasting wine on the palate. The sweetness is only slightly palatable and already into balance. Please keep!